The Historic Preservation Office and the Division of Parks and Forestry are soliciting public comment on a draft scope of work for a cultural resource survey of the Allied Textile Printing site in Paterson, NJ. The cultural resource survey will guide the future development of the site, including the newly designated Great Falls State Park. The New Jersey State Park System administers more than four dozen parks, forests and recreation areas, and more than 50 historic sites and districts. Together, these special places host more than 17 million visitors annually. But in the nation’s most heavily urbanized state, the only State-managed and operated urban park is Liberty State Park. To put more State parks in urban areas, the State hosted a two-stage national design competition for new parks at Trenton and Paterson in 2005-2006. 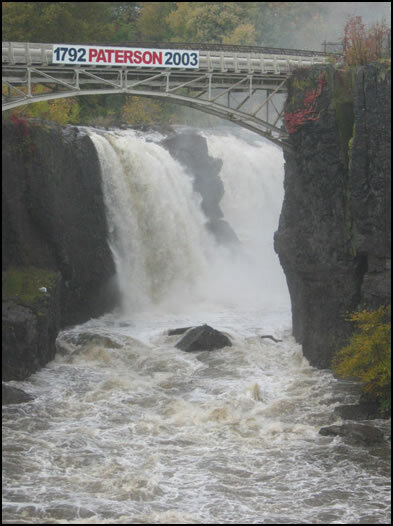 The Great Falls of Paterson is a natural gem that is also the cornerstone of America’s legacy of economic independence. A source of local pride and national renown, the site interests a broad base of stakeholders. 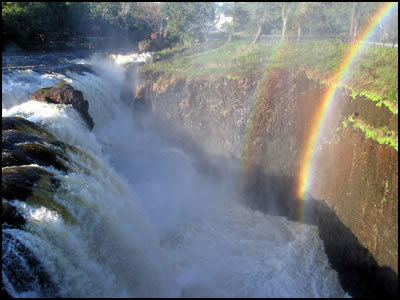 The Plan proposes to transform 42 acres of land nestled in Paterson’s Great Falls of the Passaic/Society for Establishing Useful Manufacturers National Historic Landmark District, into a contiguous public park that celebrates the nation’s birthplace of planned industry and the ideal of economic independence while showcasing the spectacular Great Falls. Coupling local and landowner interests with a potential designation as a unit of the National Park Service, this Master Plan introduces a comprehensive design vision for the future park. We believe that the integration of all these interests is critical to realizing the full potential of this magnificent resource. The optimal result would be designation as a unit of the National Park Service with management by a partnership between the National Park Service and the New Jersey Department of Environmental Protection in collaboration with local landowners and stakeholders. Organized around the idea of an “outdoor living room,” Field Operations proposes the park as a place where a complex interweaving of Native American, industrial and labor histories with natural and cultural heritage serves both tourist and local interests. The metaphor of an “outdoor living room” is intended to highlight the public, civic characteristics of the park, encouraging everyday use by the local community while dramatically showcasing the site’s many extraordinary assets for a broader regional and national audience. It is important to recognize that the pictures in this Master Plan do not necessarily mean that the park will be built precisely as illustrated. The Master Plan just provides us with a comprehensive vision for moving forward with multiple stakeholders, landowners, the National Park Service and our future park visitors! We also have to complete a cultural resource survey of historic resources, site remediation investigations and develop an interpretive plan. Some site remediation inspection work is already underway. You can find more details on these topics in the Master Plan. Please contact us at greatfallssp@dep.state.nj.us with your questions or comments.